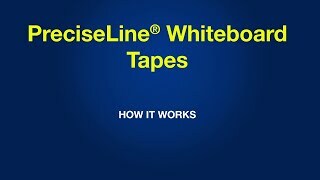 These tapes customize your whiteboard, graph, map or chart as your own design. 324" rolls. 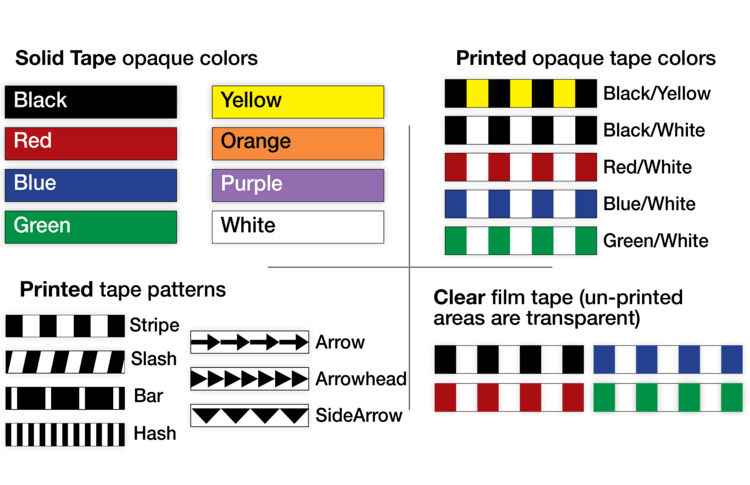 5 widths, 8 solid colors, 4 printed colors. Semi-gloss finish. Removable. Perfect for sub-dividing, outlining and creating your own chart design on whiteboards, graphic presentation panels and applying thin bold pinstripe lines on hard surfaces, showing authority lines on organizational charts, etc. They're particularly fast and easy to use with our Ghost-Grid™ whiteboards where you can tape perfectly straight, pre-measured precisely spaced lines on the first try for a neat, professional chart you'll be proud to display. 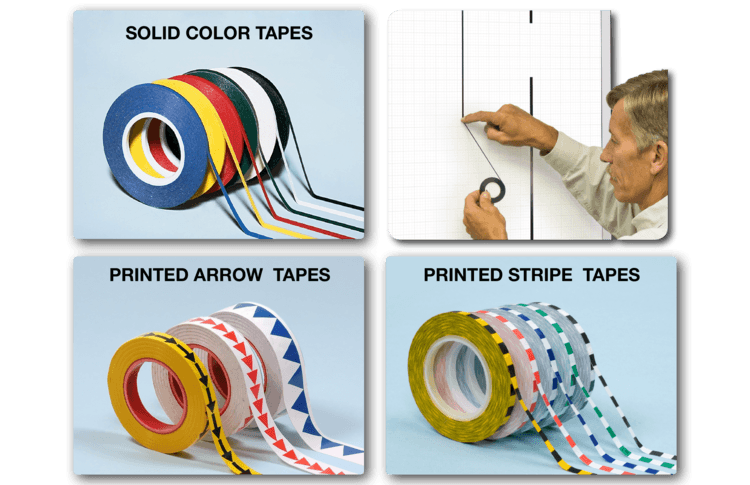 Also use the tape for aligning die-cut magnetic and adhesive letters and numbers. Just remove the tape when finished for a neat row of copy. They're ideal for animating MagnaMaps® (or any maps, floor plans, plot sites, etc.) with several colorful printed arrow and stripe pattern choices. Use them to add eye-catching drama to any graphic presentation board.